10 Grooming Tips for Bartenders - Look Sharp and Make More Tips! Our top grooming tips for bartenders. Looking sharp behind the bar is essential for bartenders wanting to make great tips. Would you tip a bartender who looks like they’ve just rolled out of bed or not showered all week? Looking like a professional behind the bar will make people take you more seriously. That includes your bosses, who will be more likely to visualise you in a more senior role when you’re always smart and presentable. Disclaimer: This article will be aimed at male bartenders, by necessity. 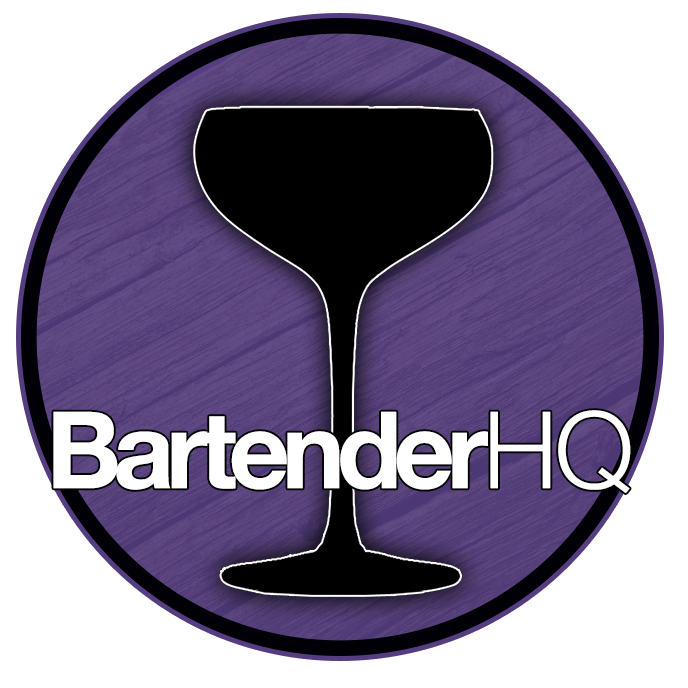 I’m a chap, and I don’t have a good enough knowledge to be recommending steps to female bartenders, though you may find some of it helpful. If you have tips, please get in touch and I’d be delighted to feature your tips in a future article. Not every bar demands the same look or style from the bartenders. An underground live music bar will have differing standards from a luxury 5 star resort, so first look at what the bar demands. You’ll need to make sure you look a part of the team, but don’t be afraid to do something to stand out from the crowd too. You want your guests to remember you and the awesome service you give. Of course, everyone has their own personal style and there certainly isn’t a single style that I’d suggest everyone was to go for. However, whatever style you choose, make sure its looking its best by not leaving too much time between trims. If you have a regular barber or hairdresser, you might get a good deal on your haircuts by booking your next appointment when you have this cut. Let them know they’ll be getting regular business from you, and that it will be an easy maintenance cut, they might well cut you a discount. If they do, don’t forget to recommend them to your guests if they’re looking for a stylist, but of course don’t discuss your discount! On those days between cuts, make sure you’re using the right products for your hair. Don’t overload your hair with products, a matt clay is often a good call for a ‘no product’ look that gives you some control. Use a small amount rubbed into your fingers and palms. Make sure you get it right to the roots of the hair. This will give you more lift and volume if that’s what you’re going for without everything falling flat half an hour after you put in all that work. b) You’ll still want to trim around the edges so you have a sharp edge to the beard area. Clean shaven will always look smart, so that’s a safe option. Don’t use old blunt blades though, you’ll just rip your face to shreds, make sure you use a nice sharp razor blade and the right products for your skin to prepare it and keep it moisturised after the shave. Subscription services are a great for this whether you shave daily, weekly or just on occasion. I checked out the Cornerstone who ship in the UK, and the products are great. See what you get in the box in the video below. If you want to try them go to Bartenderhq.com/shave and you’ll save £10 on your first order, and I’ll get a discount on my next one to keep me looking sharp too! Okay, this one should go without saying, but unfortunately all too often, it needs saying. Shower or bathe regularly, and wear an effective antiperspirant deodorant. There is nothing more off-putting for either your guests or your co-workers than people who smell bad. If you struggle to stay odour free all shift, bring a can with you in your bag so you can top up as the need arrises. Maintenance. Your work clothes must be clean and well pressed. Vintage look is fine as long as its intentional rather than gradually worn out. While a decent pair of jeans will last a few days in the normal world, bartending puts them through a lot more. This is due to the inevitable hand wiping and spills throughout the shift. Comfort and Practicality. Of course, you need to make sure what you wear is functional for the task you perform. Because I’m not always behind the bar in my role, I have a great denim apron that I can throw on if I need to help. I also spent a little cash on getting my name and job title embroidered on it, chef style. I like to stand out! Your hands will certainly take some punishment behind the bar, from being washed often. This can pull away moisture from your skin. Also cutting and squeezing citrus, The acidic juices can cause all kinds of skin issues, so make sure you take good care of them. Make use of a good moisturiser to avoid cracked and dry skin, and get a manicure once in a while. No-one wants you squeezing a lime into their drink with gnarly nails! Don’t be afraid to add some personality to your look with accessories too. An interesting chain or pendant, pin badges etc can be a good talking point with your guests as well as helping them to remember who you were. Another minefield! This is so dependent on the type of venue you work in. If you’re working (or ever planning to work in) a high end resort, its probably worth avoiding anything too outlandish. Keep tattoos to areas that can be hidden by most work shirts, and facial piercings to a minimum. For me personally, I like tattoos, but luxury hotel bartending is not really the place just yet, though hopefully it won’t be long until they’re more liberal. In the independent bar scene however, they can be seen almost as part of the uniform. Employees Only in New York’s bartenders all have the logo key tattooed on themselves. Tattoo sleeves have become as much a staple of the scene as braces and moustaches. Still not sure why, but its the case. Use a cleanser designed for your skin – whether it’s greasy, dry etc. Just like with shaving, be sure to moisturise to keep your skin in good condition. Drink enough water. Especially if you drink while working or after your shift, you’ll need to keep hydrated. Water will make huge difference to how your skin looks. So what do you think of our grooming tips for bartenders? What have we missed? Comment below!